We spent a long month in the dry dock, taking care of some tedious, routine maintenance. In addition to a few mechanical issues that have been plaguing us, below deck. The Gulfstar now has a new high tech paint job that should last 15 years. She’s shiny and we’re back in action. Captain Mike Fox tells me it was a typical winter bite with hot temperatures and cool waters. It was nothing extraordinary but it wasn’t terrible either. Being at the dock when the Gulfstar backed in, I observed, Mangrove Snappers, Red Porgies, Red Groupers, Scamp, Vermillion Snappers, Lane Snappers, Margates, Rudder Fish and few miscellaneous reef fish. NO exceptionally large fish, but freezer fillers nonetheless, and as I walked around talking to the passengers, they all seemed pretty pleased with the weekend results. The Red Grouper didn’t show themselves like they typically do in the winter months, we still had a few bruisers, one of which took home the Grouper Jackpot. 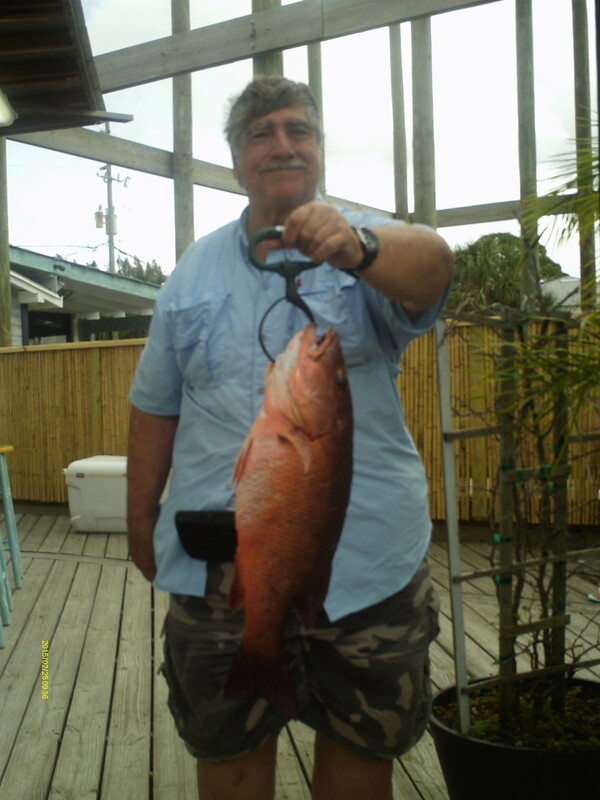 Mr Audieo Ramerez of Chicago had the biggest of the Red Grouper. The Snapper Jackpot ended up being a tie between 2 Mangrove Snappers, caught by John Kungl from New Jersey, and John Lieb a Florida local.